Britain’s Supreme Court is to rule on whether the UK government has breached EU law by failing to tackle air pollution in the country’s cities. Thursday’s decision in the landmark case is the culmination of a four year legal battle over the UK’s poor air quality. Activist lawyers at ClientEarth say current plans mean the UK will not meet legal limits for air pollution in cities such as London, Manchester, Leeds, Birmingham and Glasgow until after 2030. At least 29,000 British residents die prematurely each year due to air pollution related medical conditions, ClientEarth asserts. Southern and eastern parts of the UK experienced high-to-very high levels of air pollution earlier this month. Elderly people were warned to avoid physical exertion, while asthma sufferers were advised they may need to use inhalers more often. 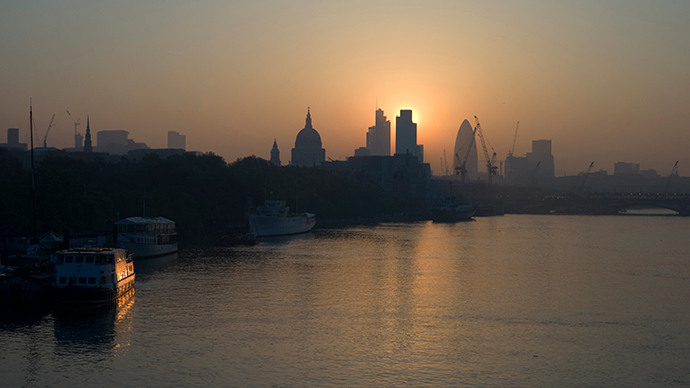 As a heavy smog settled on the capital, campaigners at Clean Air in London cautioned those training for the city’s upcoming marathon to “very seriously consider” training indoors. ClientEarth’s case against the British government centers on an EU directive, which set limits for air pollutants such as nitrogen dioxide and a deadline of January 1, 2010. ClientEarth hopes a decision by the Supreme Court will prompt politicians to draw up a new plan to urgently reduce illegal air pollution levels. Such a strategy would need to target diesel vehicles, the main source of nitrogen dioxide pollution. “We need to get the most polluting diesel vehicles out of city centers as soon as possible for the sake of our health and our children’s health,” he added. In a statement, Friends of the Earth air pollution campaigner Jenny Bates echoed ClientEarth’s comments. “The government should be forced to come up with an urgent action plan to stop people choking on dirty air and end this national disgrace,” she said. “It’s time to tackle the main cause of this pollution, which is too much dirty traffic, by encouraging cleaner vehicles and getting more people on to bikes, buses, trains,” she said. Keith Taylor, Green Party MEP for South East England said it was no surprise the British government was being taken to court after the UK experienced such high levels of pollution.